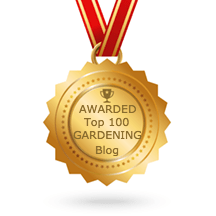 Garden Bloggers’ Bloom Day? In this weather? To quote the effusive Mr Gervais, are you ‘aving a larf? Regular readers may remember I rarely have flowers around in winter even in the best of years, so it’s even more unlikely in my spring- and summer-flowering garden. I’ve planted a winter-flowering clematis (C. cirrhosa ‘Freckles’) and a Viburnum davidii this year to up the quota, but they’re still establishing themselves and resolutely refusing to flower. And one of the little tragedies of my year has been that the Daphne odora ‘Aureomarginata’ I planted last spring – one of my desert island plants – really, really hates my acid soil and is languishing sorrily in my front garden at the moment with only a few miserable-looking leaves left. Must dig it up again and put it in a pot before it turns up its toes altogether. and the first of spring’s hellebores (mainly Helleborus orientalis) are emerging from the ground. And there was I feeling grumpy and cabin-feverish and thinking I had nothing to look at. Feeling much better now, thanks! That made my spirits lift just reading it. We still have far too much snow here in North Wales for there to be any point in looking for much happening but it clearly is out there, under the drifts, if only I hang on a bit! So much promise, and such beautiful photographs. If you don't mind my saying your beefy puffballs look more like a hairy viking with a hangover. thanks all, VP I hadn't thought of doing that – looks like B&Q will be on my list of errands tomorrow.And James – actually I'd been fighting off images of Ewoks in pixie hats but clearly I'm not being butch enough. Thank you. Oh you have plenty to be cheery about! Love the seed heads, such nice winter interest. First time visitor. Many intriguing flowers here! Love the spooky rosehips but I'm dying to know if I could possibly grow the Pyracantha! I hope you are holding up okay during this nutty winter of strange weather. Happy GBBD. Lovely photographs! Loved that you took pics of the stuff we usually think of as "autumn" things — they are really evocative of this time of the year — sparse, hard, but not totally without hope!